They tried making Tubelight on the lines of Bajrangi Bhaijaan & failed. It's better to own up to one's style of filmmaking. Why ape a previous successful movie? It is somewhat passable in a forgettable sequel but not on a standalone film. OTMF will not work in India without Indian sentiments. The same emotions have to be Indianised. Because Salman Khan's audience are from the heartland & that's a vast number. Every story/screenplay demands a certain type of filmmaker/filmmaking. Little boy was a flop movie & the central role was played by a young boy. Kabir and company was just trying to cash in on forceful emotions. Otmf is a story of struggle of a man and history of his country. Salman is likely to look unsuitable in a few portions and that you know. There is no need to add machoism to every scene. Hirani can not make Shetty cinema and vice versa. Showing him as a macho stuntman is Indian touch? The hardships, earthy connect, emotions should be there. @God Father .. I wouldn't find Salman unsuitable without watching this version. Can't pre-judge just because I've watched OTMF. It is a journey of one from his childhood till old age. Sultan didn't had machoism in every scene. But that is what the personality showed. It is the same with Salman Khan in Bharat. You've him as a Daredevil stunt rider at a circus & you want him to be soft? Just strictly going by writing, one who dares to risk his life to earn his daily bread isn't going to come out as soft, the machoness will come inherent. And here the superior goal is to reunite with his father. Obviously the main theme is emotional, the entire journey will make the character tough & in this case the machoness. He is not Pawan from Bajrangi Bhaijaan to be soft & innocent throughout the film. That innocent was required there. A Pawan won't fight back until he is pushed to the extreme. A Bharat has a completely different character, he is an Alpha. Pawan was not. Neither was Lakshman from Tubelight. The character traits have to justified with actions (by this I don't mean fighting), I mean taking in charge of situations. That is what the short teaser showed the glimpse of. This is why Chulbul Pandey, Pawan, Sultan, Lovely or even Lakshman are his best written characters this decade. They don't act against their true character. Tiger stumbled with the love story, jumbling from being super alpha to non-alpha. This happened with Veer too. Not to speak of his last character though. 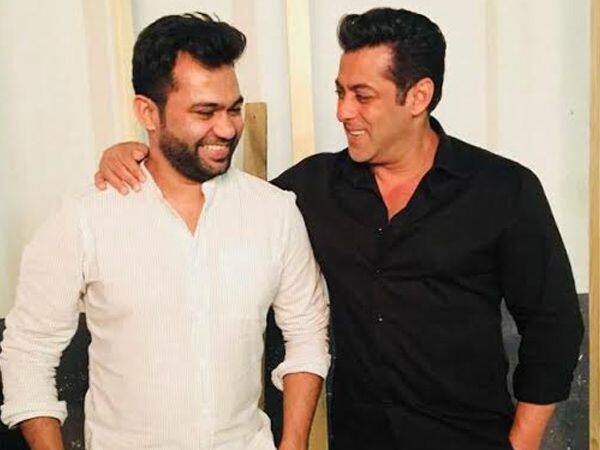 Looks it's from a song, Salman is being presented as a stud by Ali. Yes. 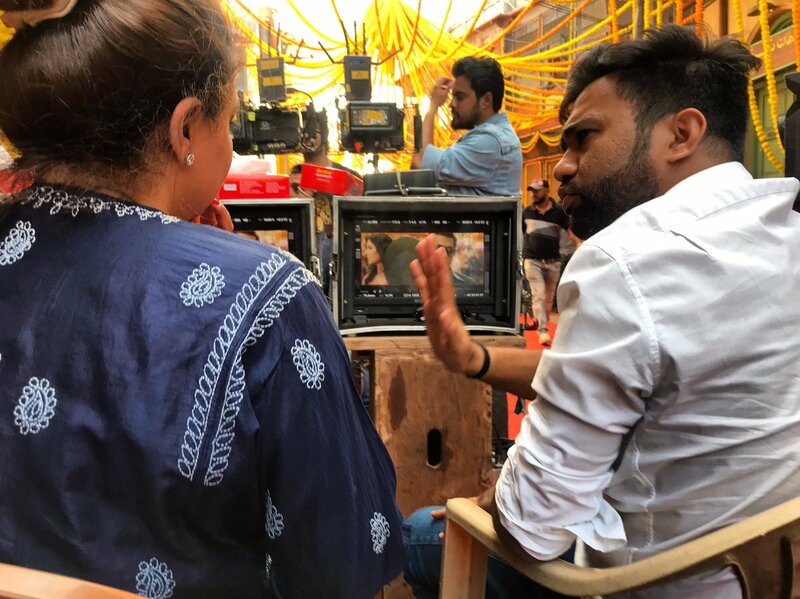 Vaibhavi Merchant is on the location. Probably continuation of the song whose still featuring Salman Khan & Katrina Kaif was first released. Eid 2019 will reveal that..